C. Anderson Associates was established with a passion and commitment to building winning sales teams. Over the years we have become the undisputed experts in the identification, qualification and delivery of high-performance sales talent for our client companies. Since our inception, progressive companies from Fortune 500 to small start-ups have engaged the services of C. Anderson Associates to successfully grow their businesses. We work hard for our reputation which is characterized by honesty, objectivity, accuracy and respect for confidentiality. C. Anderson Associates will allow your company to cast the widest net possible in the hiring of your next sales or sales management employee. Our founder Carla Anderson has over 20 years of experience within the technology and recruiting industries excelling in sales positions from Account Executive to Vice President of Sales. Carla and our senior associates have taken the best practices in sales hiring and executive search and formed what is now C. Anderson Associates. We are not an all-purpose search firm. While others generalize, we continue to refine our Sales placement specialty and expand our deep networks with sales candidates and client companies. We use the latest recruiting technologies and are continually improving and innovating our sales search practice strategies. In June of 2002 we fully absorbed the established Executive Search practice of Kreofsky and Associates located at 8400 Normandale Lake Boulevard, Minneapolis Minnesota. Dean Kreofsky was a local recruiting icon who had over 13 years experience in the placement of sales professionals. We strive daily to continue his legacy of dedicated ethical service. The Twin Cities Business Directory ranks C. Anderson Associates in the top 10 Executive Search Firms and the only one that focuses exclusively on the search and placement of Sales and Sales Management Professionals. We offer our Clients access to this country’s most valuable networks and databases of local sales talent. We offer our Candidates opportunities from affiliate recruiting firms across the country. C. Anderson Associate’s mission is to assist our clients in gaining a leading edge over their competitors by employing the very best sales professionals to successfully develop and grow their organizations. By providing for our client companies we help maximize the career potential of our candidates. 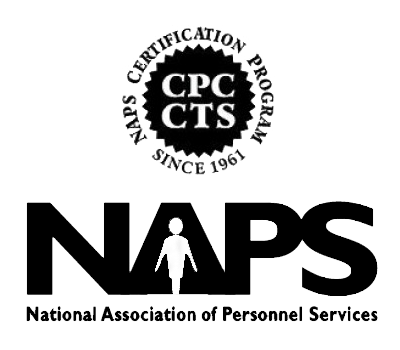 We adhere to the stringent standards of ethical and professional practices as established by the National Association of Personnel Services.